Apply to volunteer as an IFF Ambassador and you will have the unique opportunity to become a community-wide leader in representing Israel Forever! Come join the Israel Forever team and share your creativity, your passion and your voice while building your resume and professional experience! From Jerusalem to Rockville, Washingtion D.C. and more, people are learning about Israel Forever! 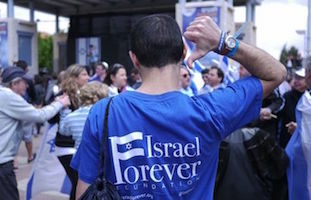 Check out our upcoming Israel Forever events! Join the world’s foremost global virtual community committed to Israel and celebrate and strengthen your personal connection to the Israel today! Do you believe in the importance of the continued existence of Israel? Do you want to share your passion for Israel with your friends and family? Invite them to learn more about Israel Forever and to join our virtual community. The Israel Memory Project is a story-collection initiative to collect the memories of Jews around the world about their Israel connection. 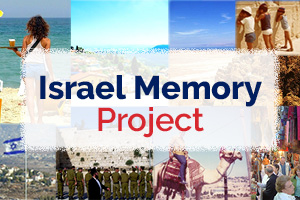 A perfect tool for inter-generational encounters, for Mitzvah projects, and for community engagement - YOU can be a part of this historical endeavor to collect the memories of Israel we hold dear. 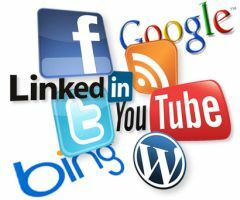 Connect with us on Facebook, Twitter, Pinterest, and other social network sites! Become a member of a global community dedicated to the concept, history and reality of Israel. 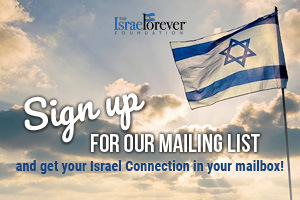 The easiest way to get involved with Israel Forever is by signing up for email updates. Become a part of our virtual community today!